Immersing yourself in the comic book world, readers tend to gravitate more towards the popular and familiar stories that usually pertain to superheroes and the world they live in. 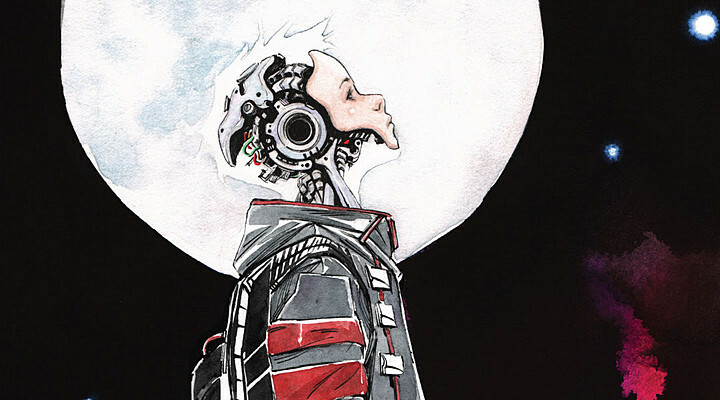 Indie comics seem to be forgotten and some readers might even be scared to delve deeper into unfamiliar territory, and they might not be sure if they’ll like it or not. That’s what I’m here for. 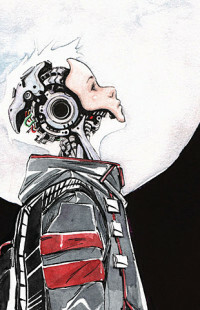 Descender has a storyline that had automatically caught my attention from the beginning. What first did it for me was their idyllic illustrative cover, which made me wonder what the story was about. Secondly, was the storyline itself. The idea that they made it a teen instead of an adult reminded me of when I was younger, and that alone helped me connect with the character in the story. I no longer cared about the outside world, I worried about what happened to the my teen self, well, the teen in the story that I found a bit of myself in. The authors did a superb job making me care about what happened to the main character, and make me want to root for them. I personally, like the whole idea of another world that looks like ours, but it isn’t with people who look like humans, but aren’t as you can tell the world they live in is different from our own world. Not to mention they leave us with a cliffhanger that makes you want to strangle yourself for not picking up the second book ahead of time. If I do have to nitpick I would say the thing that did sort of bugged me was their own usage of words from the story’s “world.” I understand that it’s different and there will be different words to correlate with the story, however, if they put too much of their own words or sayings all at once, it can get a bit difficult to follow along. Like I said though that is just me being nit picky. 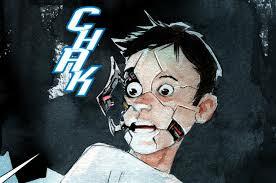 Overall this comic book was immaculate in everything from the storyline to the artistry. The colors used seemed very soft, for lack of a better word, and seemed to stick to certain color schemes that fit in altogether. This comic book did not disappoint and I can’t wait to get my hands on the second one.